What is Banking on Blockchain? 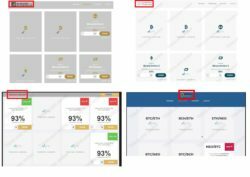 An automated trading platform allegedly developed by hundreds of system developers and trading strategist. It allegedly generates at least $700 to each user every day. And now you can get access to Banking on Blockchain supposedly for free, so is it worth it, do you have anything to lose? Of course, you do! The truth is that Banking on Blockchain is an awful scam that won’t make you any money. But not only that, it will lose your own money! Let’s start with the reviews of Banking on Blockchain that you can see on the website of this trading program. They feature stories with people who allegedly are making money with this system. But all these testimonials are totally fake. Scammers used stock photos and fictitious stories. These people are not real users of this systems, take a look at our photo to see a proof. Perhaps the best proof that Banking on Blockchain is a scam is in the trading app they will give you access to. We tested it and identified a well-known scam software that is losing money. We know it from real users, because this software has been used by dozens of other scams that abuse binary options and cryptocurrencies. 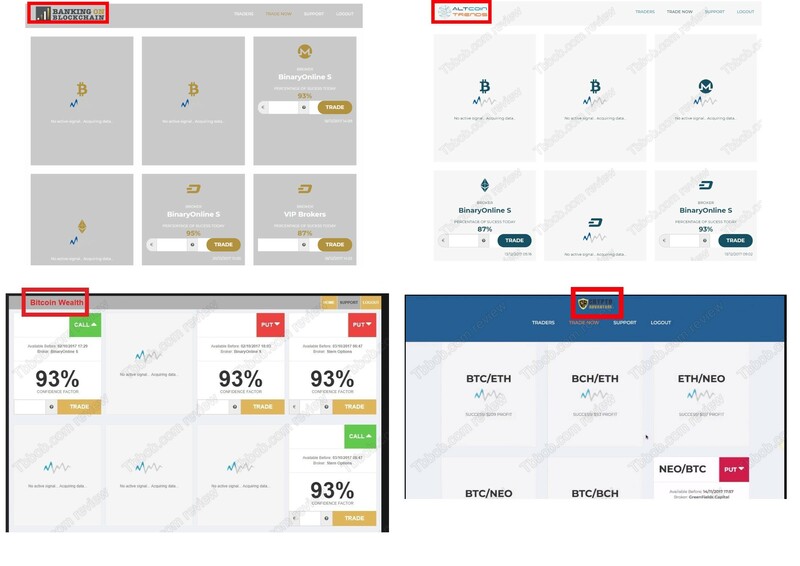 Check our picture to see a comparison with examples of other scams based on the same app: Altcoin Trends, Crypto Advantage and Bitcoin Wealth. This software is not based on any real trading strategy, it is just generating random trading signals that inevitably lead to losses. So, how will scammers get your money? 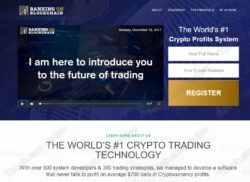 It’s easy, they won’t activate the trading software until you deposit at least $250 with one of their affiliated and unregulated brokers, like BinaryOnline and VIP Brokers. It’s because they are paid by those brokers to refer new depositing traders. As easy as that. As you can see, the software is not free, you have to deposit money to activate it, and that’s the dirty trick they use to take your money. Banking on Blockchain is a scam that will take your money and lose it with a worthless software. Stay away from it! If you are interested in cryptocurrency trading, try a free demo account with a regulated broker. Train and learn on the demo before your start trading with real money, you have to understand all the risks associated with trading.